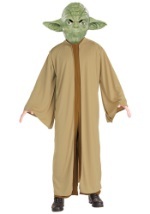 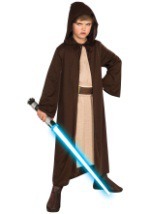 Complete your Jedi costume the right way with this green lightsaber. 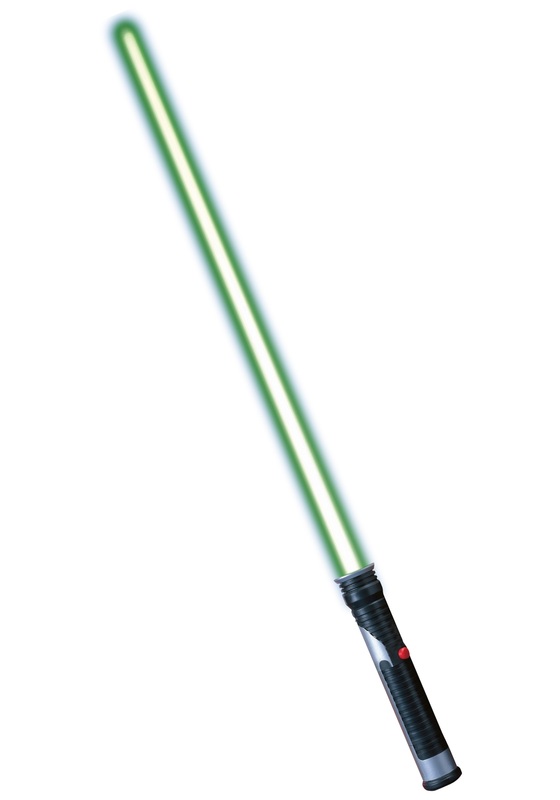 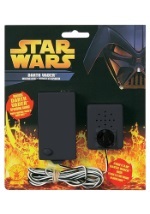 The Qui-Gon Jinn accessory features a 3 foot long blade, which lights up to a brilliant shade of green (needs 2 AA batteries, which aren't included). 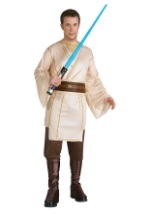 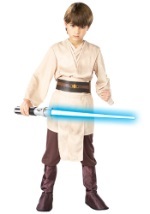 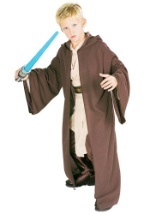 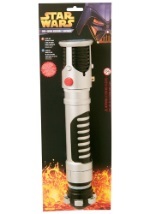 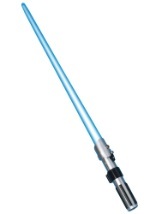 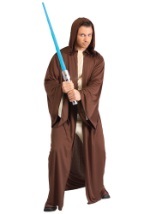 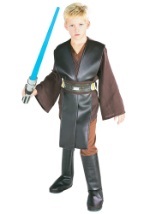 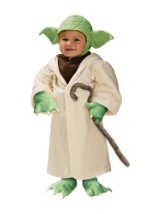 You'll be in for a fantastic Halloween costume with the addition of this Qui-Gon Jinn lightsaber.